Bayero University, Kano (BUK) Free Unofficial Admission Letter and Screening Dates, Time and Venue for Freshers/Newly Admitted Students for 2018/2019 Academic Session. 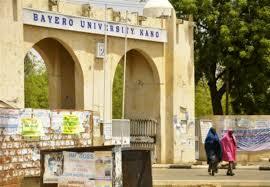 The management of the Bayero University, Kano (BUK) wishes to inform all candidates offered provisional admission into the University that they can now commence the printing of the Unofficial admission letter online for 2018/2019 academic session. Screening commences on Monday 12th November, 2018 and ends Friday 7th December, 2018. Click Here to Print BUK Unofficial Admission Letter!! !